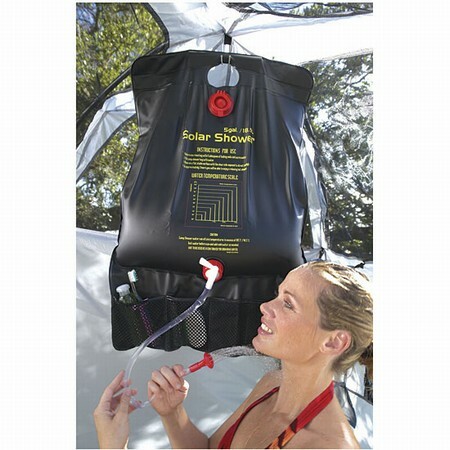 The Solar Shower uses a 5 gallon PVC plastic bag to absorb solar heat to warm water for showers and dishwashing. 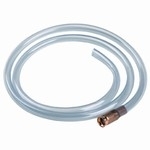 Gravity flow from the resivoir through an on/off valve, hose and shower head provides heated water. Sturdy handle for hanging. The device folds compactly for transit and storage. Good in emergencies when power is not available or for outdoor camping. A practical home emergency preparedness item. Essential in the aftermath of hurricanes or earthquakes.